For those of you who raised their hopes high seeing the Windows Phone 7.8 update peeking from unlocked Lumia 800 handsets here and there, the dreams have been crushed. 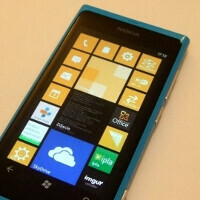 Nokia took to Tweakers to explain that those were trial runs to test the new software, and the actual WP 7.8 update with the resizable tiles and all, is not expected to hit the release stage until early next year. Naturally, you can always wake up your inner hacker, hit up the NaviFirm servers, and try to call it a day with your pre-WP8 Lumia, but a few more weeks of waiting sound more advisable than that. So windows phone 8 is rolling an update and the loyal ones that are still stuck on windows phone 7.5 won't get an update till will who knows when. Way to go MS!